Charlene and Jan Kotzé are parents to 4-year old Megan. They’ve suffered the worse loss a parent ever could. 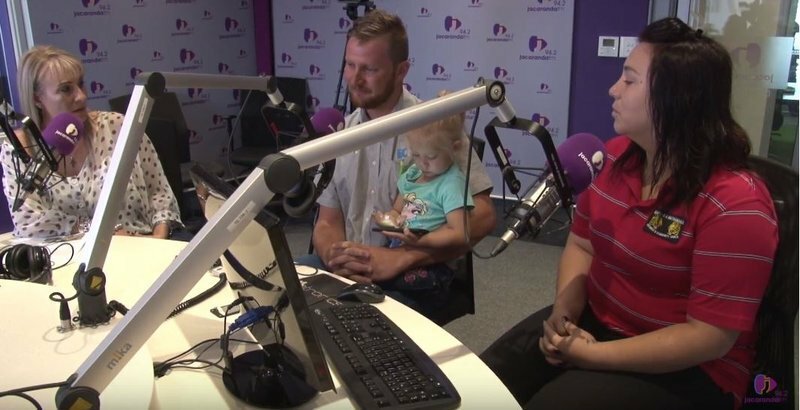 After Wednesday's Good Morning Angels' Follow-Up, listeners and businesses came together to send the Kotze family to Cape Town for medical advice! ANGEL 2: Anonymous. This listener says he had a heart scare while cycling two years ago. As a fit, healthy man, this worries him tremendously. He can only imagine the worry Jan and Charlene must feel for little Megan, after losing CJ. Charlene and Jan Kotzé are parents to 4-year old Megan. They’ve suffered the worse loss a parent ever could: their 7-year old son, CJ died in hospital in Randfontein, on 12 January this year. The three of them live with Jan’s mom, as they sold most of what they had to pay for CJ’s medical treatment. Charlene and Jan took out comprehensive medical aid, but CJ’s condition was excluded for a penalty period, as it was deemed a pre-consisting condition. It was established that CJ was suffering from a genetic disorder, LQTS syndrome, a condition that he was born with. On Christmas Day last year CJ collapsed and was rushed to hospital while Jan did CPR. There was no space in a State facility and again CJ was admitted to a private hospital. On 12 January 2018, Charlene and Jan had to make the difficult decision to switch off the machines that were keeping their 7-year old son alive … he was gone less than an hour later. Amid the devastating loss of their son, they also have to cope with the financial debt, after doing their best they could … they still owed over R500 000 to various health service providers. Jacaranda FM’s listeners responded with open hearts … the donated R575 414 into the Good Morning Angels Fund! A total of R522 790 was paid out to medical service providers. The remaining R52 624 was paid to the family.